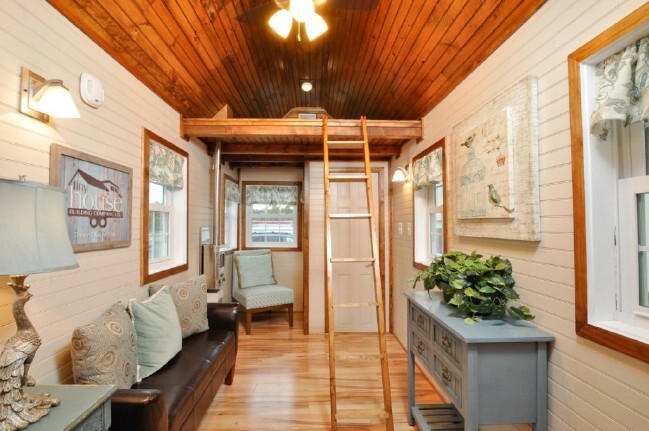 A home known as the Pioneer Tiny House by Tiny House Building Company recently sold in Fredericksburg, Virginia and we hate that we missed our chance to snag this beauty! 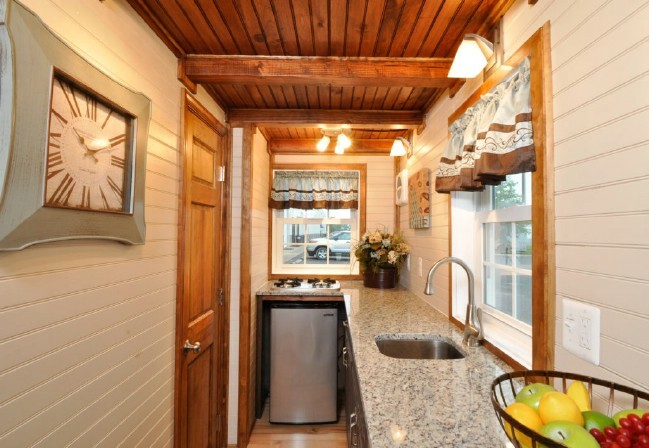 The off-grid tiny house on wheels was designed to live off-grid but it didn’t skimp on style to make it happen. 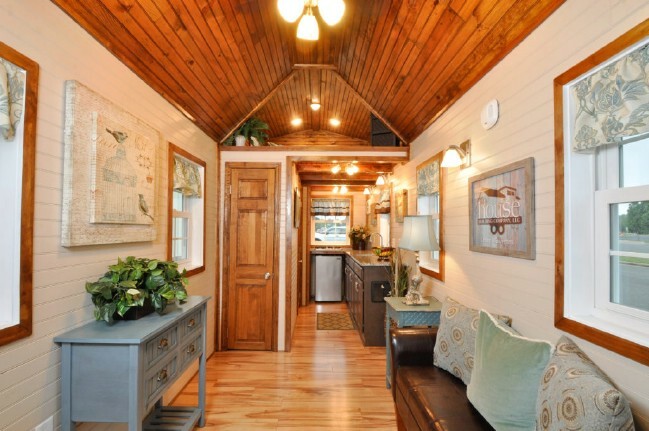 We love everything about it starting with the shingled siding and red door on the exterior and this adorable tiny house can be yours unfurnished for $65,000. Inside, the home has creamy shiplap siding with a tongue-and-groove ceiling and beautiful hardwood floors. A fan is in the center of the pitched ceiling to help circulate air throughout the whole home and windows also let fresh air breeze through. The living area is on the front of the home with a small nook in the corner for reading. A ladder extends into the room for access to the smaller sleeping loft but it can be tucked away when not needed to free up floor space. The back of the home contains the kitchen, bathroom, and the main loft. The kitchen is small but with high-end finishes, you don’t feel like you were cheated on quality. Granite countertops and dark brown hickory cabinets wrap around the room with a mini-fridge and propane cooktop at the end. 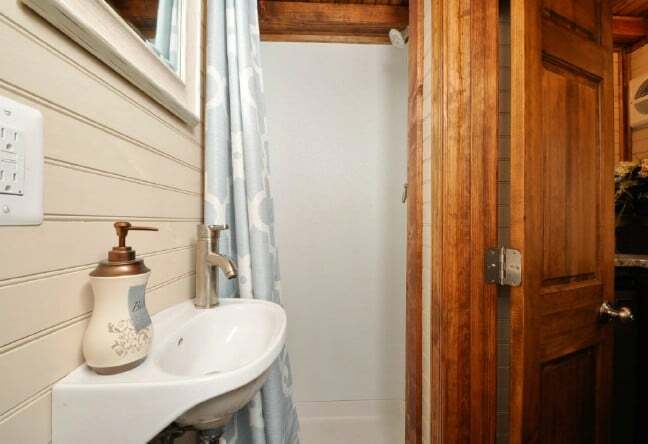 Off of the kitchen is a small bathroom with a wall-mounted sink, shower stall, and composting toilet. 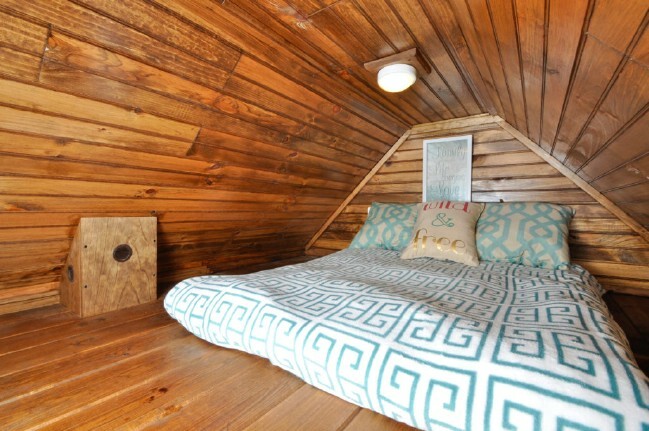 The two lofts give you enough room to sleep four guests. 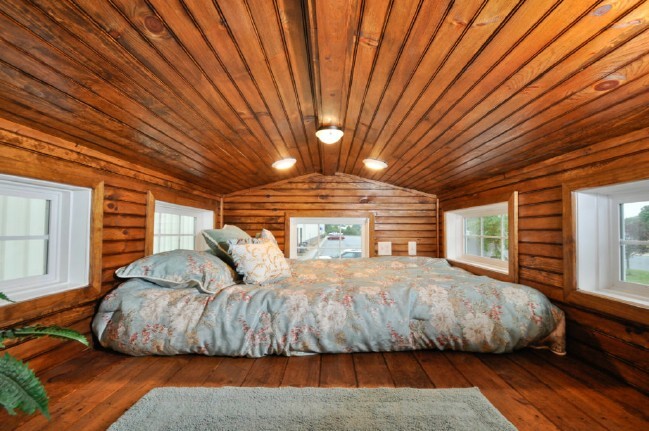 The main loft has three windows and slightly more space while the second loft is windowless but will still fit a queen-sized bed. 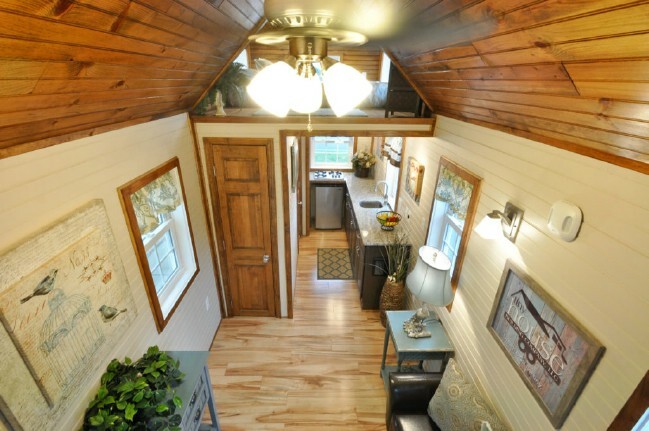 We love that this tiny house gives you the capability to live off-grid but also delivers on style! 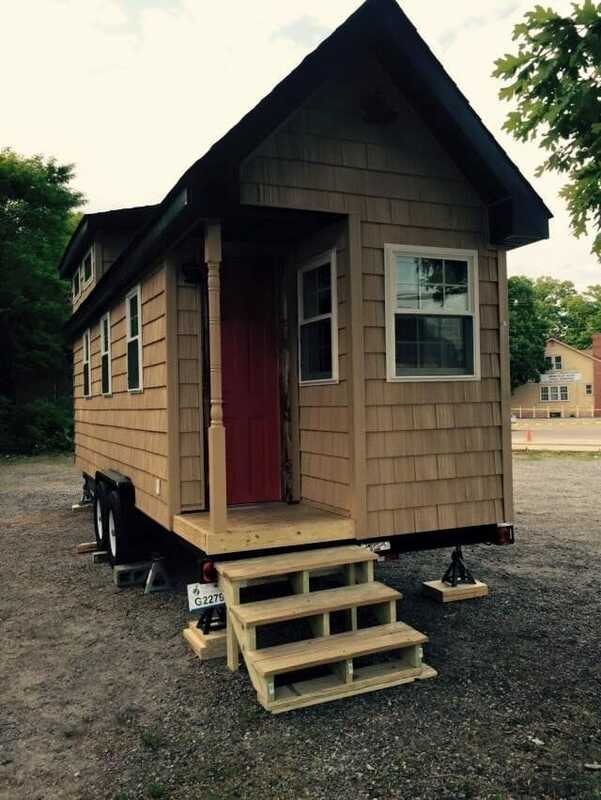 If you want to see more of the Pioneer, go to http://tinyhousebuildingcompany.com/pioneer/ for more details and pictures.